Hempfest is one of those events that you either go to out of curiosity, or you are looking for specific information. As I walked around the CNE building where it was held, I saw a variety of people that were either from the industry or they were attending other events and decided to pop in to find out what Hempfest was all about. This was the first year in Toronto so it was met with a lot of excitement. Many of the exhibitors had travelled from the West of Canada with all Canadian made products. 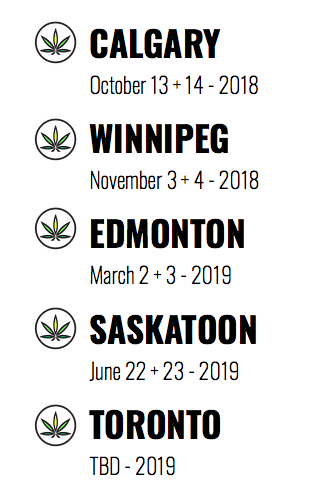 The exhibitors ranged from web developers, glass blowers (with amazing exhibits) Plant nutrient companies, Hemp CBD booths, and access to medical professionals in order to get a prescription to use Cannabis for medical purposes. There were also booths for Pet Wellness who were offering CBD for pets. Oli Dog Pet Wellness Products and Muskoka Brad Pattison Pet Wellness who can only be contacted via email. They were a great booth to talk to about the benefits for your cats or dogs.